India is a powerhouse of the youth; not only for itself, but also for the world. By 2020, India is said to be the world’s youngest country with 64 percent of its population to be below 35 (United Nations IRIS Knowledge Foundation Report 2012). Think the quantum of change such millions minds can bring out. But battling with huge population, high poverty rate, weakening Indian rupee and weak governance coupled with its unparallel development schemes, India is a fragile landwhen it comes to impacts of climate change. The techno-economic solutions, financial incentives and political regulations are not enough. Education is the most powerful tool that has the potential to bring about a fundamental change in the way people think. It requires extensive makeover of the conventional education. It calls for learning and knowing climate change, about risk mitigation measures, biodiversity and innovative alternatives. This key role to the involvement of the young in the matters of climate change was recognized by the United Nations Systems which works in collaboration with the United Nations Joint Framework Initiative on Children, Youth and Climate Change (Joint Framework Initiative). Through this, the youth has a decisive role of raising the national ambitions, which would result into an established new climate change regime by the year 2015. The COP13 (Conference of Parties) at Bali witnessed a paradoxical absence of the Indian delegation. Despite being one of the most vulnerable nations with the leading youth population, there was only a mere representation at the conference. Thus, to empower the Indian youth with a voice and to facilitate communication with the Indian parliamentarians, the Indian Youth Climate Network (IYCN) was born. Such a formulation gave a platform to Indian youth to participate and contribute to the Indian climate dialogues on climate policy and agreements at national and international levels. The onset of COP20, to be held in Lima this year in December, will have IYCN play a very important role as it will take the climate change movement of India youth from the grassroots level to the global arena. 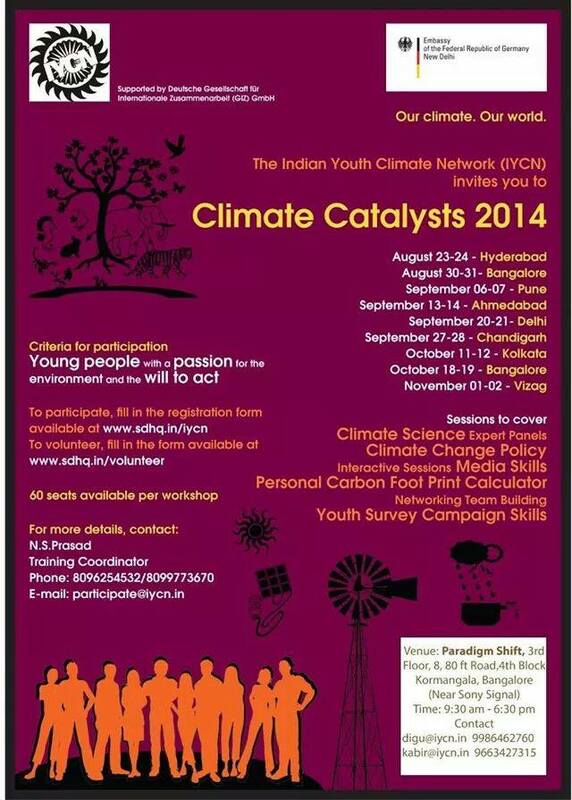 A flagship programme called the IYCN Agents of Change, will train hundreds of youth across India around climate change. Through its workshops Agents of Change programme will lay a favorable ground for the Indian youth to formulate their voices for the future international policy on climate change. Selected youth from these workshops will be taken to Lima in December this year to attend COP 20. Agents of Change programme will expose youth to ongoing international climate discussions and gear them to participate at the local level negotiations. The programme will also help in harnessing the youth as a nation’s asset, driving them towards sustainable development where they shall formulate, work and lead the change. Agents of Change is a programme of IYCN and being supported by Germany India Cooperation (GIZ). The workshops are being conducted in 8 cities- Delhi, Hyderabad, Bangalore, Kolkata, Pune, Ahmedabad, Vizag and Chandigarh. The workshops are open to youth from all walks of life. Please check the schedulebelow to participate in your city. There is no fee for attending these workshops. Categories: climate change, social movements, Youth in Action | Tags: Agents of Change, climate change, India, IYCN, UNFCCC, youth | Permalink. 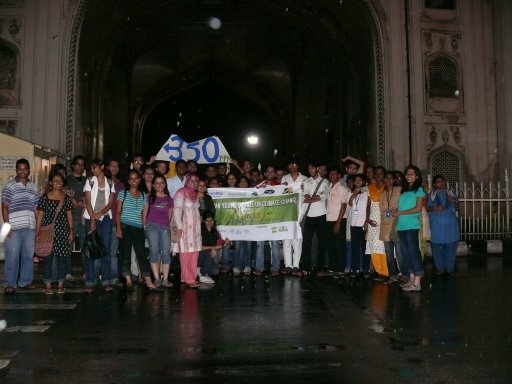 In 2009, an adventurous team of young people gathered in India to undertake a 3,500 kilometer journey across the country in search of solutions to climate change. This unforgettable journey in a caravan led by electric vehicles made quite a splash. Five years later thanks to Solar Punch, we are able to share this journey with you in snippets. For more on the tour, you can also visit the website. Categories: agriculture, cities, climate change, development, energy, Events, social movements, transportation, Youth in Action | Tags: Chennai, climate change, EDF, electric vehicles, Greenville, India, Infosys, IYCN, MNRE, Moser Baer, REVA, road tour, solar power, Solar Punch, youth | Permalink. From debate paralleling UN climate negotiations to Mr. Narayana Murthy’s address to the youth and from discussion of India’s emissions targets to staying up till 3am discussing the future youth want to build: the Indian Youth Summit on Climate Change was a milestone for India’s youth movement on climate change. The aim of the summit was to come out with a youth declaration on climate change to unite the individuals and organizations that have a stake in climate change – which is everyone! The summit also aimed to create the framework that would then move on to produce the India’s Youth Action Plan on Climate Change, climate policy that will be proposed to the government over the next 6-8 months. The summit was organized by the Friendship Foundation, Global Citizens for Sustainable Development, Nature & Biological Sciences Society, the Indian Youth Climate Network, and hosted by Infosys Technologies Limited at their Gachibowli campus. It was agreed that “young people have power” as mentioned by guest speaker Bittu Sahgal, founder of Sanctuary Magazine, who went on to say it was time for youth to use it to their advantage. Deepa Gupta, co-founder of the Indian Youth Climate Network (IYCN), said, “There are so many young people working on this issue, and we won’t be listened to as individuals or as a small group of people, but mass united as the youth of India: we cannot be ignored. India has about 700 million under the age of 35. How can they not be represented in the decisions, when they are the ones that will be impacted the most by climate change?” This outlined the aim of IYCN, who have grown from a reach of 3 to over 200,000 people within 4 months of the inception of the youth movement. Mr. Narayana Murthy, co-founder, non-executive Chairman and Chief Mentor of Infosys Technologies Limited, addressed the Indian Youth Summit on Climate Change delegates. 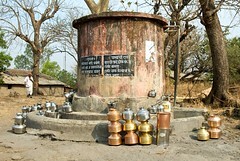 He encouraged all of the delegates to walk the talk, “I have always believed that the most powerful instrument that a leader has is leadership by example.” He further proved this by describing his sustainable living practices, including bathing with only half a bucket of water every day for the past 40 years. Participants agreed that India needs to act urgently, commit to emissions reduction targets and renewable energy targets. They also agreed our actions need to be based on an international target of 350ppm concentration of carbon dioxide emissions in the atmosphere. This was outlined by Mr. Will Bates from 350.org, as being the maximum safe upper limit for a safe and stable climate. There was lots of discussion including a future India powered 100% renewable energy, international taxes to high carbon emitters, an independent GHG regulatory authority. There was also discussion on mandatory emissions reporting, all metropolitan roofs having rainwater harvesting systems by 2012 and adapting to the projected 125 million climate refugees in a business as usual scenario. Youth presented on the climate impacts in their area, with representation ranging from Kashmir to Tamil Nadu, and Rajasthan to Meghalaya. They committed to actions in their states from organizing renewable energy expos, working with schools and colleges, lobbying their local government to implementing rural energy projects, organizing solar powered rock concerts and participating in the international climate negotiations. Other guest speakers included, Mr. Nitin Desai, former Under Secretary General of the United Nations; Vandana Shiva, an eminent physicist, environmental activist, author and the founder of the Navdanya Institute; Amala Akkinani, film star and founder of the Blue Cross of Hyderabad, Gaurav Gupta from the Climate Project India, Dr Rajamani, Former Chief Secretary, Ministry of Environment & Forests, GoI, and speakers from CSM, Oxfam, Greenpeace and Sierra Club. Categories: Events, Youth in Action | Tags: climate change, Hyderabad Climate Alliance, India, Infosys, IYCN, IYSoCC 2008, youth | Permalink.